Kawasaki ER-6n Specification - Kawasaki ER-6n is presented for the lovers of big motor designed with power, acceleration, balance, riding position comfortable, weight of the vehicle, lightweight and body street fighter which aerodynamic. The all-new double-pipe perimeter-style frame is a key component of the ER-6n’s identity. The new bodywork accentuates the frame, rather than hiding it. Double-pipe design of the new frame, made from high-tensile steel, contributes to the bike’s lightweight appearance. The Parallel Twin engine configuration was chosen as the best balance of good power characteristics and compact size. 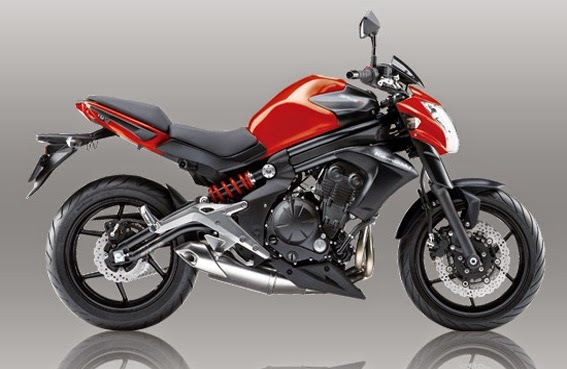 The engine offers more fun and greater usability in everyday riding, while maintaining the high-revving character. 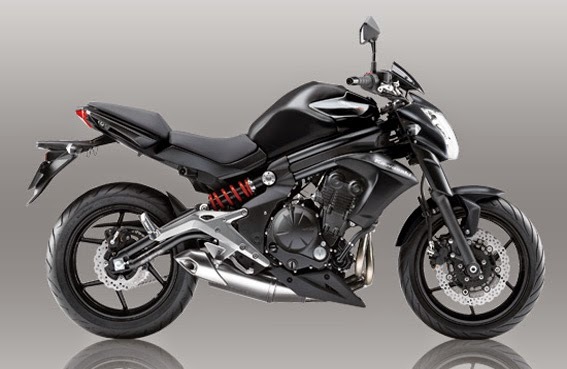 Kawasaki ER-6n is equipped with engine capacity of 650cc, 4 - Step, 2 cylinder parallel, which is capable of generating a maximum power of 53Kw (72.1 PS) / 8500 rpm with a maximum torque of 64 Nm (6.5 kgf.m) / 7,000 rpm.